If you have any questions about the KISSES information page below please contact us. This sizeable luxury yacht KISSES is a motor yacht. This 53 metre (175 foot) luxury yacht was manufactured by The Feadship De Vries Shipyard in 2000. KISSES was once called 659. 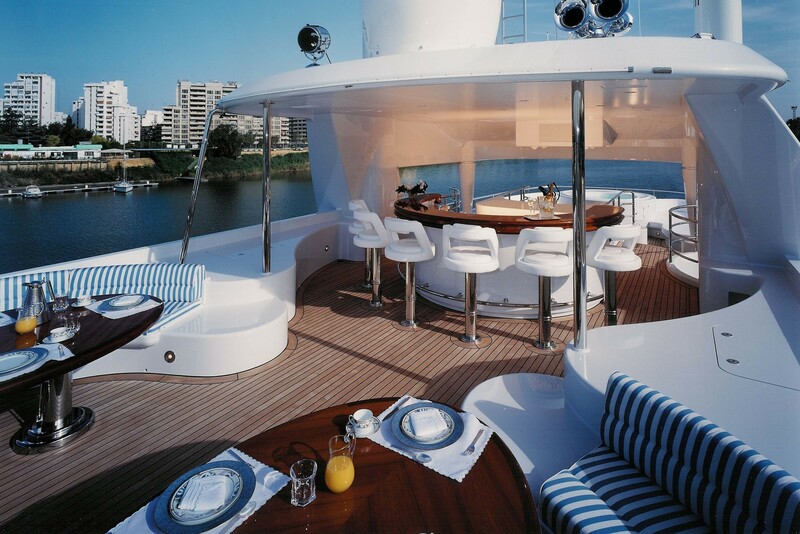 Superyacht KISSES is a stately yacht that is able to accommodate up to 10 people on board and has a total of 12 crew. Launched in the year of 2000 her reasonably modern interior design promulgates the abilities of the design work of George Larson/Robert Knack. The yacht's wider design collaboration came from De Voogt Naval Architects. The technical naval architecture drawings are the work of De Voogt Naval Architects. Motor Yacht KISSES received her elegant interior designing from the interior design company of George Larson/Robert Knack. 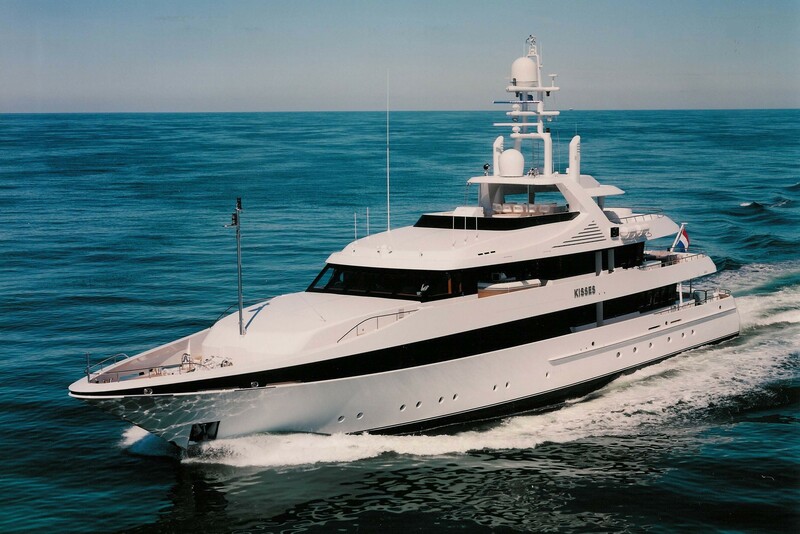 the Netherlands is the country that The Feadship De Vries Shipyard built their new build motor yacht in. After the formal launch in 2000 in Aalsmeer the boat was thereafter delivered on to the yacht owner having completed final finishing. The main hull was built out of steel. The motor yacht superstructure is made extensively with aluminium. With a beam of 9.81 metres / 32.2 ft KISSES has fairly large interior. A fairly deep draught of 3m (9.8ft) limits the amount of overall ports she can enter into, depending on their particular depth at low tide. She had refit improvement and modification completed by 2008. This boat is powered by two capable CATERPILLAR main engine(s) and can attain a swift max continuous speed of approximately 15 knots. The main engine of the yacht produces 1360 horse power (or 1001 kilowatts). Her total HP is 2720 HP and her total Kilowatts are 2001. Coupled to the KISSES engines are twin screw propellers. As for the yacht’s stabalisers she uses Vosper. For bow thruster maneuverability she was built with Holland Roer. KISSES has a/an accomplished cruise speed is 14 knots which gives a range of 3400. 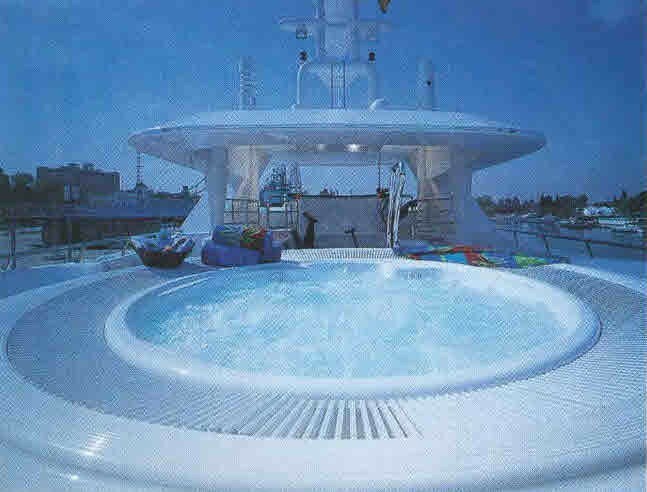 The sizeable luxury yacht motor yacht KISSES can accommodate as many as 10 passengers in addition to 12 qualified crew. 53.34 metres / 175 feet. Total engine power output 2720 HP /2001 KW. Approximate Cruise Speed is 14 nautical miles per hour. Her top Speed is around 15 nautical miles per hour. Caterpillar 2 times 125 kilowatts. Palma. Spain. Illes Balears. Balearic Islands. In Sept 2009 KISSES cruised Palma, in Spain. This motor yacht also traveled the area near Illes Balears during October 2009. Heinen & Hopman is the type of air con onboard. This motor yacht has a teak deck. The luxury yacht KISSES displayed on this page is merely informational and she is not necessarily available for yacht charter or for sale, nor is she represented or marketed in anyway by CharterWorld. This web page and the superyacht information contained herein is not contractual. All yacht specifications and informations are displayed in good faith but CharterWorld does not warrant or assume any legal liability or responsibility for the current accuracy, completeness, validity, or usefulness of any superyacht information and/or images displayed. All boat information is subject to change without prior notice and may not be current.